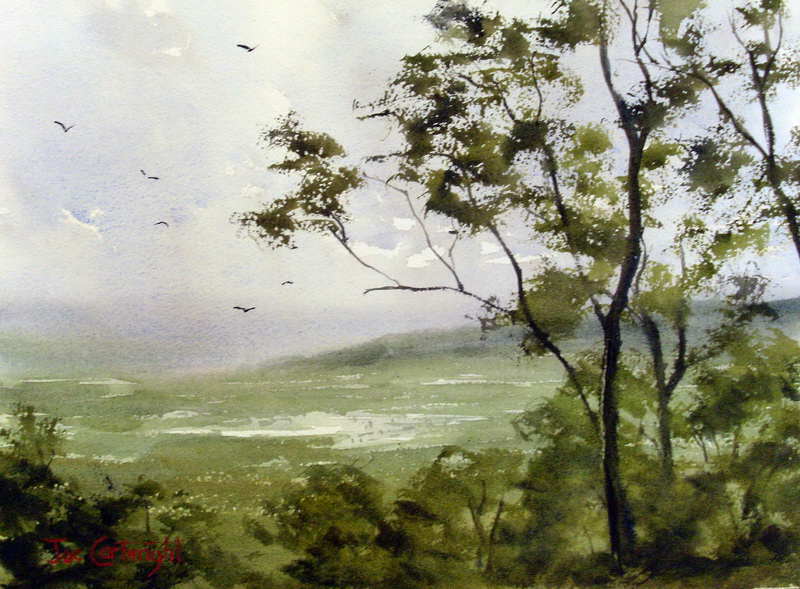 Below you will find the watercolor painting landscape demonstrations on this website. About half of the paintings I do are landscapes though I also paint a lot of street scenes, Venice and other subjects. 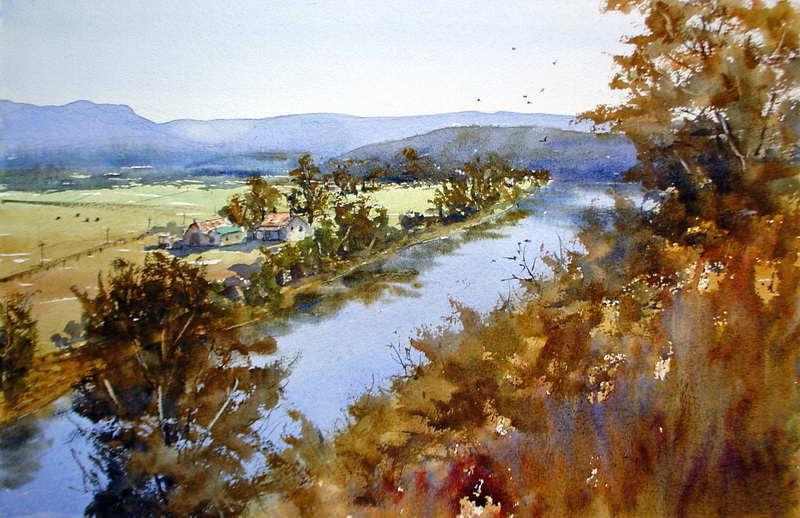 I hope you find the demonstrations listed below of benefit to your own watercolor landscape painting. Should you have any questions about these landscape demonstrations or find any corrections required please let me know. 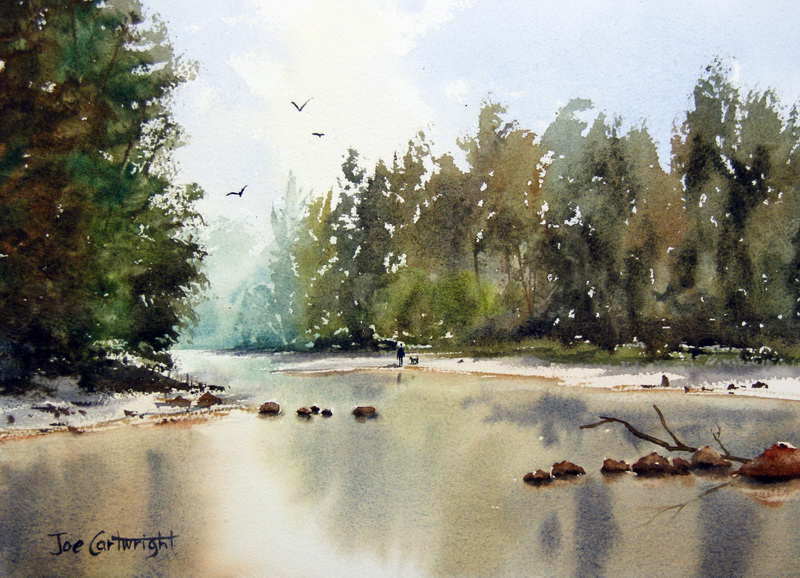 Pughs Lagoon, Richmond, NSW, Australia: Plein air watercolor demonstration focusing on capturing the bright early morning light. Covers painting trees and mass of foliage, old houses and shadows and bright light, as well as reflections on a pond. 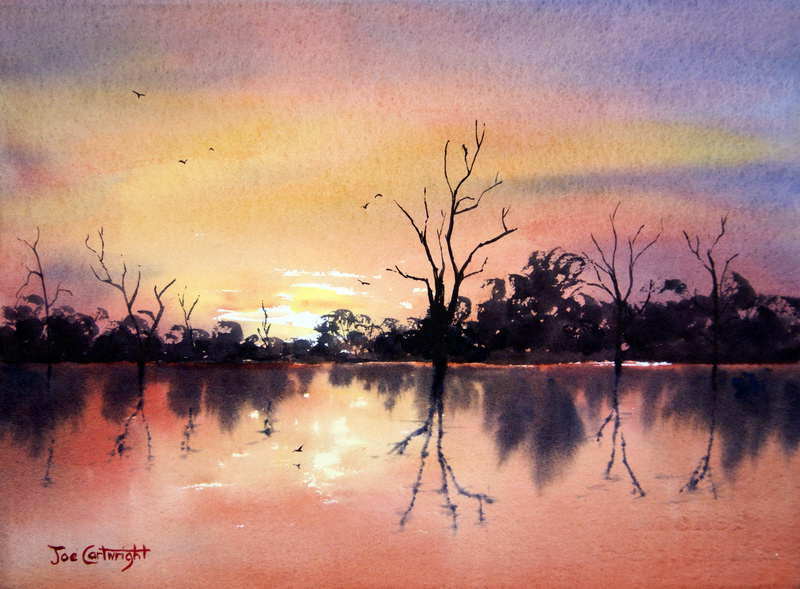 Red Sky sunset over Lake Bonney in South Australia: Watercolor painting with bright red sunset sky over a lake. How to paint smooth reflections and dark sillouhete of trees in the background are covered in this watercolor painting demonstration. 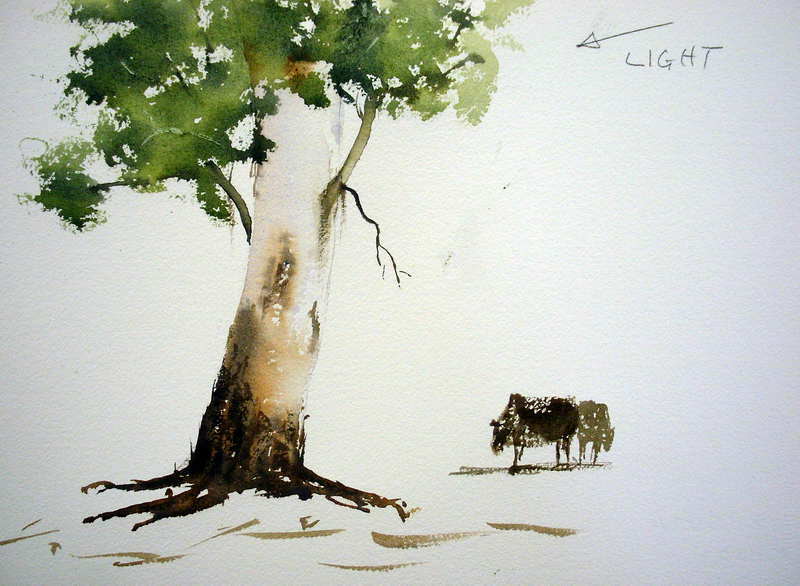 Light over old shearing shed : Capturing the light with watercolor paints is the aim of this demonstration. 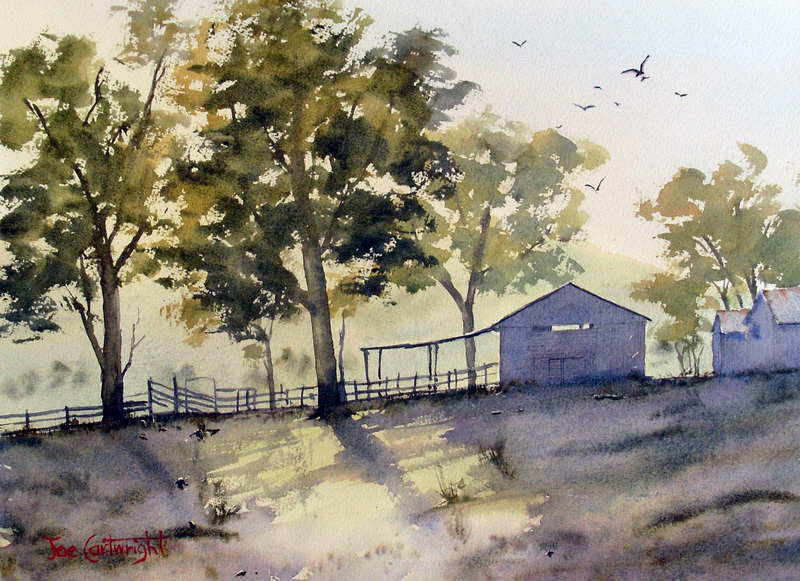 Interesting shadows and filtered light are tackled along with distant hills and farm buildings. From Freemans Reach, NSW: Painting looking down on the North Richmond plains. Distant vista and reflections on the Hawkesbury river. 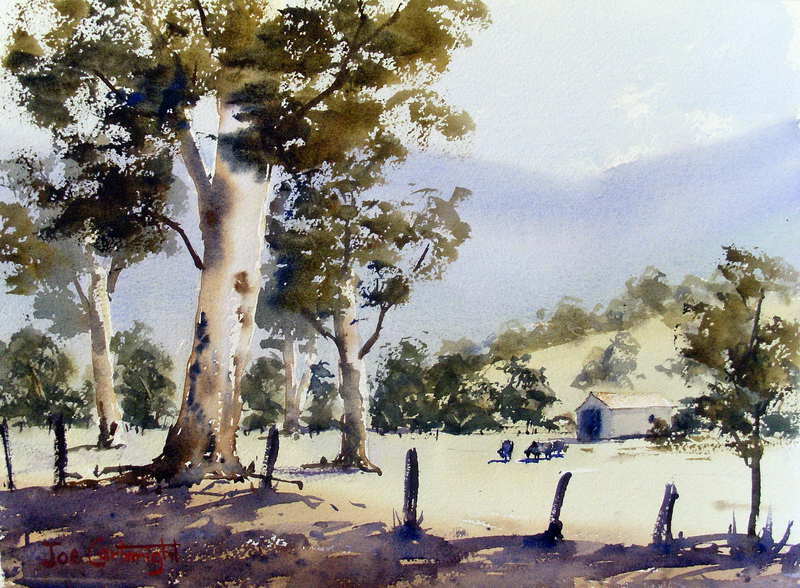 Watercolor Landscape, Farmland, Eucalyptus trees: Watercolor painting of and Australian farm landscape. How to Paint Gum Trees: Step by step to paint an Australian Eucalyptus (gum) tree. Light bark color with texture. Painting rain, fog and mist demonstration with watercolor: How to paint fog and mist with watercolors. Wet road with reflections. 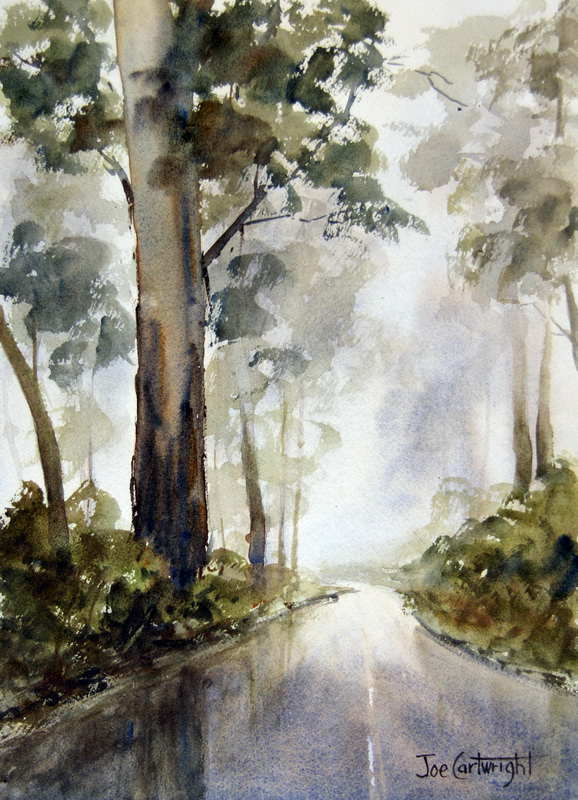 How to paint a river scene with lots of trees and their reflections: Painting of the Grose River at Yarramundi, near Sydney, Australia. This demonstration shows you how to use your watercolors to paint masses of trees along the rivers edge using a fan brush. Covers river reflections as well. Painting a mountain green valley vista with watercolor : How to paint a valley scene looking down from a low mountain. Lots of greens, and foliage in the forground. I hope you find the above watercolor painting demonstrations of use with your own watercolor paintings.